Centurion, South Africa: Again one-sided matches, yet the first good all-round performance was on display as Kallis used the home advantage to its fullest extent with ball first and then with bat. South Australia and Royal Challenger’s Bangalore won registered easy wins. 4. Kallis provided the best all-round performance of the tournament with 43 not out and 3 wickets in the same match. 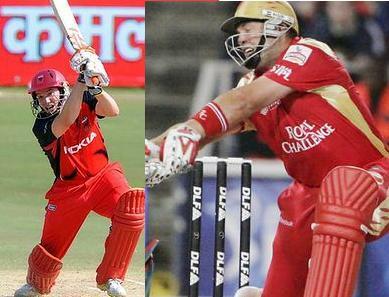 Lions were expected to continue their winning march, although the opponent was much tougher than Mumbai Indians. South Australia showed why it should be considered to be a final contender for the tournament. Both the captains formed the back of their team’s run scoring. Yet, Klinger took away the game from Lions. Petersen lacked the support from other batsmen. South Australia won almost comfortably, although the difference showed just 9 runs. Led by the senior internationals like Dale Steyn and Praveen Kumar in bowling and all-round Kallis getting full support from Dravid and knocking punch from Uthappa, Sarwan’s Guyana were left to be just spectator. Guyana must raise their level to at least make their presence felt now. Question of the Day: Should Dravid and Uthappa be in Indian T20 Team? With consistent play by Dravid over an year now, and aggressive batting by Uthappa which has taken the games away from many opponents, the question arises, why are they not considered for Indian team, at least T20 teams!! Mumbai Indians showed they can win. CSK won comfortably and now RCB also achieved thumping win. Much better performance than the first Champions League in India when all three IPL teams struggled to register a single victory. Kallis with 3 wickets just for 16 runs taking 3 wickets and bowling 2nd maiden over of the tournament was the pick of the bowler. Klinger, opened from the first ball while opening the batting for South Australia and helped his team to reach a challenging total. Petersen, captain of Lions, also played well but could not lead his team to victory. Klinger, the captain of SOuth Australia hit 5 sixes in his knock of 78. 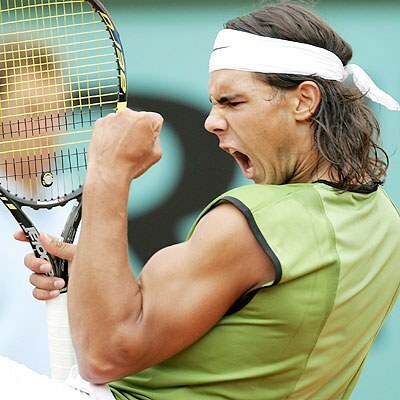 Rafael Nadal: Will he be the Greatest Champion of Open Era! !